Seeing that our SEO tool Morningscore is used by both SEO experts and SEO novices, we decided to give a helping hand to the latter and make an SEO glossary with a comprehensive list of SEO terms and simple explanations. Being a beginner is nothing to be ashamed of and here you will have a shortcut to everything you need to know to navigate our tool like a pro. 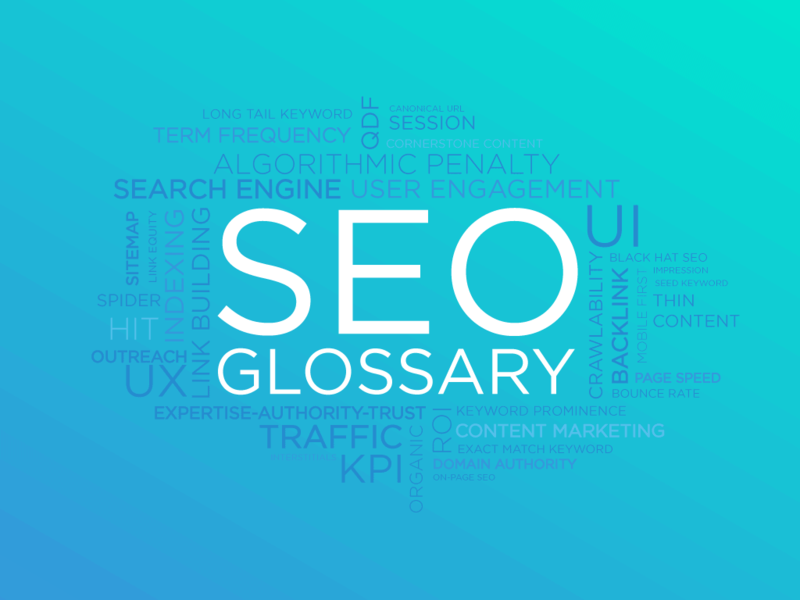 With more than 450 SEO related terms this is the most extensive search engine optimization glossary you will find anywhere. A link used for internal linking. It shows the absolute (or full) path to a file, HTML page, image or anything else you might want to link to within your website. This link is used as a part of the anchor tag and consists of a protocol, a domain name, possibly a subdirectory and the name of the file, document, HTML page, image or something else. There are two types of paths used in internal linking – one being the absolute and the other relative. There is, however, no indication that one is more beneficial than the other in terms of SEO. Any change to Google’s search algorithms or ranking system. This includes new rules or adjustments to rules already in place. There are frequent small updates that go unnoticed, but there are several major updates in a year that can have a big impact on your rank. Major updates in the past few years include Panda, Penguin, Pirate, Hummingbird, Pigeon, Mobile Friendly, RankBrain, Possum and Fred. The process of your website being suppressed in the SERPs reducing the search rank of your keywords. They are hard to notice unless you keep an eye on any significant drops in your website traffic. The only way to get rid of them is to try to find any issues that might not follow Google’s guidelines and fix them. The alt tag is inserted within the image tag in HTML and used to specify alternate text for an image. Including a description of the image so screen readers and search engines can get an idea of what is on it is considered a good practice for accessibility and improving content relevance. Anchor text is the clickable text in a hyperlink. In terms of SEO, it is best to use natural language and avoid exact match, overly spammy and keyword rich text when linking to other sites. A site trusted by the user, its industry and industry experts. These sites both publish trustworthy information and link to trustworthy sites, getting a reputation of a high quality, knowledgeable website. A backlink is created when some other website is linking to your website. In essence, it is a “vote of confidence”, a citation that shows that this other website points to you as a valuable and relevant source. An effective link has high link authority and high link relevance. The number of backlinks to a specific website is one of the most important factors when determining its page rank. You can find more on backlinks in this article. The most popular search engine in China with a Chinese market share of 69.54% (the next in line are Shenma and Sogou) and a market share of 1.37% worldwide. Baidu offers almost the same services as Google. This SEO phrase refers to a black hat SEO technique where you use certain content on a webpage to rank high in the SERPs. Then, after you are satisfied with the rank, the content of the webpage is swapped out with something else (content which usually wouldn’t be able to get a good rank). A well-known phenomenon that describes people’s tendency to ignore elements on web pages that they believe to be advertisements. Ads are considered interruptive and pointless by the users and they filter it out while skimming the page looking for anything of importance. A search engine owned by Microsoft with a market share of 3.18% worldwide. According to research 85% of Bing users live in the USA, 87% of the users use it because of Internet Explorer, they are for the most part 35+, less tech-savvy and are more likely to have children. Also, according to some statistics Bing users spend 25% more than users on other search engines. Black hat SEO tries to improve page rankings by using tactics which are against search engine guidelines. These tactics create content that is meant to manipulate the search engine and tends to ignore the human audience and their experience. They include keyword stuffing, cloaking, using paid links, doorway pages, over-optimization, hidden text, bait and switch and much more. Blog commenting was a very popular link building tactic where you find a blog article that is relevant to your niche and leave a comment with a link. Nowadays this tactic is cause for debate. Since it was over abused and people massively spammed blog articles leaving links and irrelevant comments everywhere, comment sections now apply a nofollow to links. Google also put a stop to this practice by penalizing links from irrelevant websites and by reducing the link equity passed on by pages that contain massive amounts of links. As you can see, this tactic can hurt you more than help you. That being said, there are still cases where this is appropriate. Leaving a valuable comment in a blog article can help you build relationships in your niche and result in guest posting opportunities. You might not get link equity, but what you can expect is traffic increase. A metric that shows how many visitors came to your website and then left immediately after without performing any actions or browsing any of your other pages. A rule of thumb is the lower bounce rate the better. Having a high bounce rate (over 70%) is a cause for concern and can be caused by many different issues like slow page load, low-quality content, unresponsive landing page, using too many ads, your visitors not finding your page relevant for the keywords they used etc. They are keywords and phrases that include your company or brand name and variations of it. There is ample debate over using branded keywords in your search marketing. SEOs usually argue that there is no need to spend money to rank on these keywords as using SEO intelligently will have you rank high in the organic search results. This is a link building tactic that includes you searching for web pages that mention your brand, service, product or personal name, without linking to you. You then reach out to these websites (or those that are relevant and have a decent domain authority to be precise) and have them add a backlink. This is a tactic that has a high return on investment as the chance of the website you are contacting giving you a backlink is very high. You can use Google Alerts to track any mention of your brand, service or product. A type of secondary navigation that helps the user figure out their location on your website. Links appear horizontally providing a link to each previous page on the website. It is beneficial for both user experience and crawling, as it provides an improved internal link structure for large sites. A keyword matching option in Google Ads. When using broad match for a keyword, your ad will appear for searches containing that keyword or a similar one. This includes phrases, singular or plural forms, misspellings, synonyms, stemmings, and related searches. Basically, a link that doesn’t work. This can be due to an improper URL or a deleted linked page and commonly happens when a page is moved or renamed. It can negatively impact your SEO and reduce your search engine rankings as it can stop crawlers from indexing your website. An SEO term that refers to a website trigger (usually a button) designed to get an immediate response from a website visitor. These triggers usually use commanding words that are meant to persuade the visitors to perform a certain act like Buy, Register, Write Now, Call, Sign Up. Having a clear call to action on your landing page improves SEO as it will help your visitors determine what their next step is increasing their time spent on the website and reducing bounce rates. If you happen to have duplicate content on your website, search engines will not know which one to show in their results. This is why you need to pick one as the original and set a canonical URL on all the other pages pointing to the original. This you do by using a canonical tag (rel=”canonical”) in a piece of code that looks like this <link rel=”canonical” href=”www.seoglossary.com” /> in each one of the copy pages. As far as the search engine is concerned, this merges all the pages into one. CSS is a language that defines the look of the HTML document. Every website has one or more CSS files where each element is determined in size, color, layout etc. Here is where we can set up interactivity, animations, responsiveness, font style and more. A Black hat SEO strategy where you mass spam a website with unnatural links getting it to rank high in a very short time. The website will get penalized eventually, after which the owner deletes it, but until then the website earns revenue. A metric showing the percentage of people clicking on your ad/website after it has been displayed in the SERPs. It is calculated by dividing the number of clicks by the number of impressions. A link that is meant to entice the user to click on it. These links either use anchor text or headline tags that are playing on the user’s curiosity. Using words and phrases like incredible, amazing, ultimate, “must see” and “you won’t believe”, these links have a chance of increasing their CTR. Using clickbait might increase the traffic to your website but think it through first to make sure it is appropriate for your particular niche. Evaluating the competitors that rank for the same keywords you do or belong to the same niche. A competitor analysis will help you find out which tactics work in your niche and which areas you should prioritize. Content is all the information available on a website. It includes text, images, videos, and animations. In terms of SEO, content is a major factor in attracting traffic and influencing user experience. A CMS is a dynamic website where multiple users can edit, update and maintain the content. They are simple to learn and easy to set up. One of the most popular examples of a CMS is WordPress. In the term of SEO, it is a bit of a trade-off – a website can be set up in a matter of minutes using templates, but you do not have any control over the code. So once the template is in use, you will not be able to make any changes. On the other hand, this is ideal for people that do not have a desire to deal with code. There are plenty of SEO plugins you can use to help with SEO activities. A marketing method that focuses on the creation and sharing of high quality, valuable online information (in the form of video, audio or text). The purpose is to draw interest and be perceived as a credible source, so you gain more visibility and increase brand awareness. Start working on your content marketing by using this step-by-step guide. A cheap SEO technique where the same article is rewritten, using synonyms or by changing the word order in the sentence. In this way, many articles are created in hopes Google won’t flag them as duplicates. These articles are them posted all over the web and link back to the original. 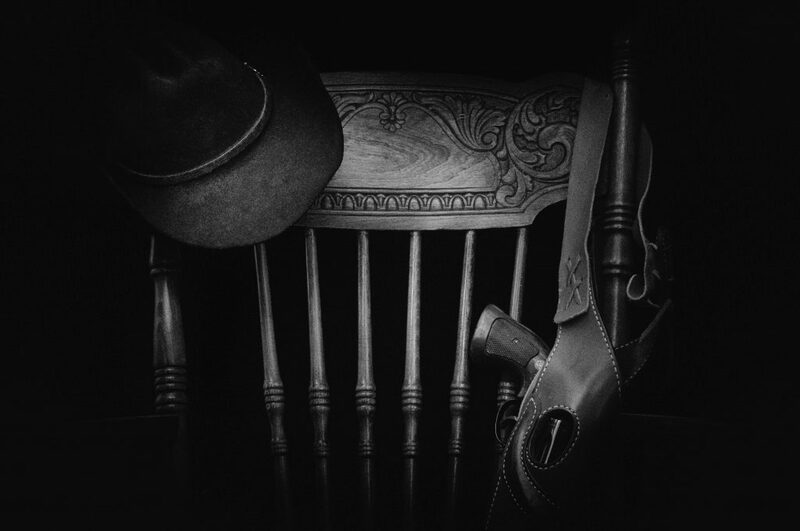 It is a risky black hat SEO practice now done with various software. As a disclaimer, writers often spin content in their articles to reduce the similarity ratio, but if this is done for only a small portion of your content and you are only posting it once, you have nothing to worry about. A method where content is republished on another site, so we can reach new audiences, increase traffic and build links. This method does, however, fall in the area of duplicate content, meaning that the other site could very likely rank better than you on your own post if it has more authority. It is nonetheless a minimal effort and possibly high benefit tactic, where you should weigh all the pros and cons before implementation. An act of getting the user to perform the desired action. As an example, this occurs every time a website visitor signs up, downloads your e-book, follows a link from your email or interacts with our CTA. A percentage of users that completed the desired goal (made a conversion) out of all the users that have seen your ad/website/e-mail/CTA that was intended for the purpose of visitor conversion. Using various tactics to increase the percentage of website visitors that convert to customers. SEO and CRO go hand in hand and ideally complement each other. SEO is meant to drive traffic to the website and CRO tactics are meant to convert and ensure that the website generates revenue. Insights and data from your CRO should be also used to find issues and do SEO. Copied content is content that has been copy-pasted from another source. Sometimes they are just chunks of content and other times whole pages have been chopped up and then pasted together creating something seemingly new. Some words can be replaced with synonyms, or one word can be replaced with another throughout the text using the “find and replace” function. This is a riskier version of duplicate content as it can have the purpose of misleading the search engines and can be a cause of a red flag. The most important, extensive articles on your website. They are high quality, easy to read and cover everything that is important in a specific topic. They are usually hub articles that are at the center of your link structure linking and linked to many of your web pages. An online pricing model where you pay when a certain action is performed by a user. The example of an acquisition can include a sale, download, sign up, visit your site or something else. A payment method used by Google Ads where the advertisement price is based on the number of clicks the ad gets. A pricing model used by Google Ads where you pay for every one thousand times your ad has been displayed. The process performed by the search engine crawlers where the complete content/code of a website is analyzed. In simplified terms, this happens by the crawler following all internal and external links. Crawlability refers to the process of enabling the crawlers to easily navigate, understand and efficiently find content and index your website. Site crawlability can be improved by creating an XML and image sitemap, avoiding orphan pages by efficient internal linking, optimizing site speed, images and video and the proper use of redirects. An algorithm used to scan and analyze websites in order to rank and index them. Made up of crawl rate and crawl demand, the crawl budget describes the number of your website URLs that Google will crawl. This does not affect small websites. Larger websites should, however, take this into consideration as pages with stale content that are found somewhere low in your link hierarchy (and especially if your website is not rather popular or healthy) will possibly be overlooked. Crawl depth is the extent to which the search engine indexes a website. You can check this by testing your page depth, meaning see how many clicks you need to reach a page starting from the home page. The deeper the page’s location, the harder it will be for it to rank well in the SERPs. You can reduce this problem by using breadcrumb navigation and internal linking. Part of the crawl budget, the crawl demand describes how much importance the search engine places on a specific URL. The deeper the page is in the link structure (more than 4 clicks from the home page for example), the less important it is. Part of the crawl budget, this is a technical limitation in the algorithm. A specific number of pages the spider will index that day. This number can be further reduced for your website if Google doesn’t find your website particularly relevant. Linking domains owned by the same company or person. It should not be a problem if the websites are topically related and there are not many links. Exact match anchor text and site-wide linking should be avoided to reduce the risk of penalty. Content that we did not create, but we find it very relevant and valuable for our visitors. We then organize and present it to them. The purpose is to create a knowledge-hub that the users will visit frequently to get information on their niche, making you an influencer and an expert. Distinct pieces of information. In SEO terms it usually points to analytical information used to determine who our visitors are and how they interact with our website. If you have a web page without any links it creates a dead-end for your visitors and search engine bots giving them no other choice than to leave the site. It’s easily avoided by including navigational links in your header/footer, breadcrumbs or links suggesting the next step for the visitor. The process of removing a web page from the search engine index making it unable to appear in the search engine result pages. This is done by setting the value of the HTML robots meta tag to “noindex”. The reason why you might want a page de-indexed could be if you have a page that does serve a purpose, but it isn’t ranking. Example of these pages include login and thank you pages. A method using internal links within the website content. Basically, a deep link is any link from one web page on a website to another web page on the same website. This is used in calls to action or within articles, where a link is used to lead the visitor to a page with more informative content. It is an important SEO method to spread link equity to your web pages and prolong visitor dwell time and engagement. Also, you will probably have a different, but topically similar set of keywords for each page and linking between them increases overall page relevancy. The number of visits to your website where the visitor typed in your exact web address (URL) into the browser. Not all backlinks are beneficial to your site. Backlinks from unrelated and untrusted sources are considered bad and can get you penalized or in the least have a negative effect on your SEO. This is where Google’s Disavow links tool comes in helping you notify Google that you do not want a certain link from an external site considered when your page is being ranked. All links are by default dofollow links, meaning they pass along what we call “link juice” and let crawlers follow them helping a page’s placement in the SERPs. A domain name is the text that people type in the browser address bar in order to get to a website (www.domainname.com). It is one of the ranking factors in Google’s algorithm, so it is a good idea to make it SEO-friendly. Domain authority shows the relevance of a website for its industry or subject area. It is a metric that measures how well the website will perform in SERPs and how competitive it is compared to other sites in its niche. You can improve yours by, for instance, getting more backlinks from reputable websites. If you would like to learn more about domain authority, check out this article. Created to manipulate the search engine and rank high for particular phrases and keywords while actually having low-quality content. These pages are created for generating revenue from ads and affiliate links. A search engine that puts an emphasis on user privacy and does not use personalized search results. This means that the users are not being profiled and all the users get the same SE results for a specific search term. DuckDuckGo has 4.7 million daily users, 50% of them are from the USA and 45% are European. Duplicated content is a substantial block of content that appears on more than one web page (within the same domain or across different ones). The problem with duplicate content is that when a search engine bot finds it, it will not be able to determine which domain has more relevance on the subject. But duplicate content is also a common occurrence within a page. For example, if you have a separate mobile or a local version of your website. In this case, you should pick a page that will be the original and add a piece of code (rel=canonical) to all the others, clearly pointing the search engines to the original version. This is the time the visitor spends on your website after clicking on it in the SERPs. Longer is better since it shows that the visitor has found relevant and engaging content. If the dwell time is very short, it is considered a bounce. A web address of a web page where content is stored in a database and fetched by a user query. These pages can have only one HTML file, but content will be unique every time the database is queried. This is why the URL changes every time there is a query. These URLs are non-descriptive and make no sense when read since they include link parameters. The best backlink you could wish for. They are part of a strong link profile and they are neither paid for or requested. 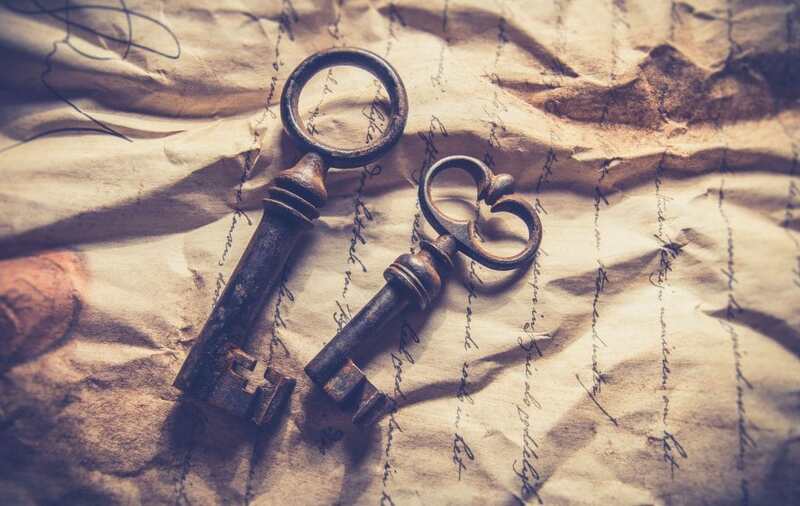 These are links placed within the body of the content and serve the same purpose as a citation, meaning the author of the content has named you as a trustworthy knowledge source on the subject and thinks that their readers will find the link valuable and useful. One of the link building tactics where you use a link to a company/person/ organization in your content, then contact them in hopes they reciprocate with a backlink. An important part of the link building process that consists of finding backlink opportunities and then contacting the site to have them link to one of your web pages. When the anchor text closely describes the topic of the web page it is linking to, it is considered to be an exact match. In the case of this glossary, the exact match anchor text would be SEO glossary. An SEO phrase that refers to a keyword matching option in Google Ads. Your ad will only appear in the SERPs if the user types in the exact word or phrase in the exact order. An unaffiliated web page with links from many topically related hubs. Expert documents are used by Google’s Hilltop algorithm to determine relevancy. These expert documents can be informationally rich pdfs, e-books or web pages with guides on a certain topic. When the search term is in the form of a question the first listing in the SERPs might be in the form of a featured snippet. It is displayed in a box with an answer summary and the website link underneath. There is not much we can do to have our website displayed in the featured snippet. Google determines programmatically which website best answers the question and displays it. The one thing we can influence is preventing Google from using our website for the featured snippet by using the nosnippet tag, but it will also block the display of descriptions under your SERP listing. One of Google’s ranking signals. New or recently updated content is considered fresh and gets scored by Google. There is, of course, some content that does not need to be updated yesterday to be relevant, where content referring to trends, news, hot topics, updates, and recurring events needs to be refreshed regularly. Google checks trends and spikes in search volume for a keyword before determining how relevant freshness is for it. A method of targeting users based on their geographical location. This is usually done because you want to display different content or ads to your visitors depending on where they are. World’s most popular search engine with a market share of 90.91% and a plethora of extra services and tools. Google’s social networking service where users can create profiles, organize in sharing groups called circles and join communities. Companies, organizations can set up a Google+ page (like in Facebook) to connect to and communicate with their fanbase. The content you post there gets indexed immediately, so it should be used as an SEO tool in marketing a person, company or organization. An advertising service developed by Google where users bid on keywords in order for their ads to appear in Google and its advertising network. This is what Morningscore is trying to save you money on by helping you improve your SEO and showing you its value compared to paid traffic from Google Ads. A content change notification service. You can set it up to follow various keywords and phrases and get an e-mail when content with those keywords gets indexed. Some of the keywords you can track are your name, service, your product or company name. This you can use for reputation management or for link building. You can also monitor your competition and track changes in their content. Google’s web analytics service that gives you precise data on the use of your website. After you add the tracking code to your website you will receive detailed data on your website traffic. There are many segmentation options. With it, you are able to track your users, their geographical location, interests, devices they use to access your website, their dwell time and bounce rate. You can also get data on the amount of traffic you receive from referrals, how much is direct and what percentage of it is organic. Lastly, you can see how your website performs in terms of speed and content. A search feature that provides suggestions while the user is typing in the query into the search box. It is an excellent source of long tail keyword ideas as it displays most commonly searched phrases. An attempt to manipulate the search engine results and have a search query return a person or organization non-related to the keyword. This is mostly done for humorous or satirical purposes. Some Google bomb examples include the query of “completely wrong” returning the knowledge graph with Mitt Romney and “miserable failure” returning George W. Bush in the results. A black hat SEO method where you create backlinks to your competitor on spammy, non-relevant websites trying to get the competitor penalized, reducing their rank in the SERPs. A major algorithmic update to Google’s search and ranking system. Released in March 2017. it de-ranks gateway pages and websites created for the sole purpose of filling it up with ads and affiliate links. A major algorithmic update to Google’s search and ranking system. Released in August 2013. It improves the search results by matching to user intent instead of focusing on exact match keywords. A keyword research tool that is a part of Google Ads service. You can use it in two ways. Get keyword ideas based on words, phrases or a URL related to your business. Or, you can use your existing keyword list and get data for it including average search volume for the last year and the expected number of clicks and impressions for the next 30 days. A web service offering traditional road maps, satellite imagery, 360o panoramic street view, and route planning. Having a listing here is very important for your local SEO as it increases your chances of being displayed in a rich snippet called the map pack. In the past years, Google has been putting more and more importance on responsive, mobile-friendly websites. Since so many users now browse from their mobiles and Google sets a high standard on good user experience, mobile friendliness has become an important ranking factor. You can test the mobile-friendliness of all the web pages of your website using https://search.google.com/test/mobile-friendly. It will give you a score and a detailed list of issues (and how to fix them). A major algorithmic update to Google’s search and ranking system. Released in April 2015., this update de-ranks websites that are not optimized for mobile viewing. With Google My Business you are able to create and update your business listing. The information you set here will be used in local search results and display your business on the Google map. It will also be used to display a Business panel to the right of the traditional search results in the SERPs. This panel will include images, map location, user generated content (reviews), information on your opening hours, phone address, website and it might even include a knowledge graph relevant for your business. A tool created to analyze your website’s content in order to determine the page speed and show you what to do to make it faster. A major algorithmic update to Google’s search and ranking system. Released in February of 2011. it focuses on the quality of the website’s content and down-ranks web pages with duplicate, plagiarised, thin or low-quality content. A negative impact on your search ranking due to a manual action or algorithmic penalty. These happen due to an update to the search algorithm or because you did not follow Google’s guidelines. A major algorithmic update to Google’s search and ranking system. Released in April of 2012. This update scrutinizes the link profile to identify and down-rank websites that use manipulative and spammy links and over-optimized anchor text. A major algorithmic update to Google’s search and ranking system. Released in 2014. it connected Google Web search and Google Map and started using location as a key factor in ranking. A major algorithmic update to Google’s search and ranking system. Released in October 2014. it reduces rank for websites that had pirated content available to visitors. A major algorithmic update to Google’s search and ranking system. Released in September 2016. it gives even more relevance to the searcher’s location. A major algorithmic update to Google’s search and ranking system. Released in October 2015. 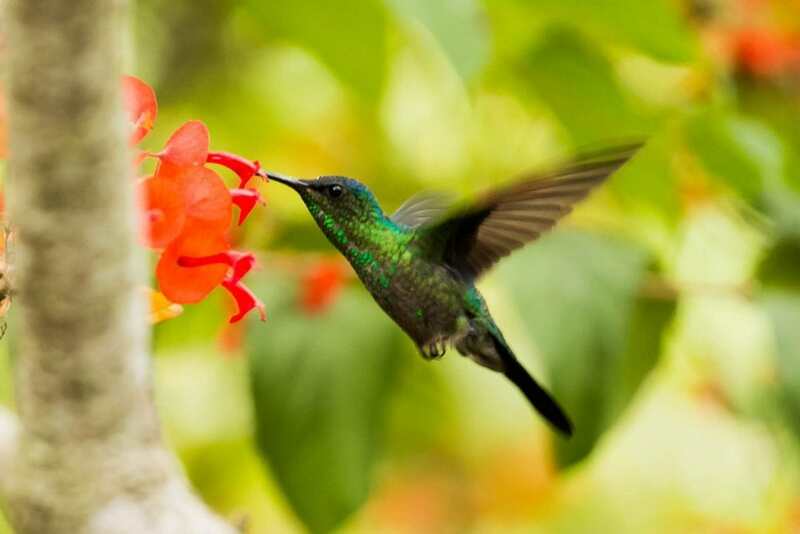 RankBrain builds on what the Hummingbird update already started by using machine learning and AI in interpreting search queries. A set of free tools and resources provided by Google. Using it you can track the performance of your website, submit sitemaps, see if there are any manual penalties set on your site and check if all your pages have been indexed. Google Trends is an online tool that lets you check the popularity of keywords and phrases. It uses graphs to show the search volume over a period of time. This can help you when creating a strategy since keyword popularity tends to change during the year. Then you can create content when the popularity and search volume is peaking. Eight suggestions at the bottom of the SERP, that are related to your search term. The suggestions here can be scraped for long tail keyword inspiration or for discovering user interests. SEO practices that are technically allowed, but ethically questionable. One of these practices is link buying/selling. Practically untraceable when bought within your niche, this practice will not get you penalized, but it is not considered ethical. The same thing goes for buying likes and shares for your social media pages. A link building method where you write a blog article or contribute with a piece of content or quote and get a link to your website in return. You need to make sure that the website matches your website topic. Many backlinks from non-related websites could confuse the search bot when trying to determine your website’s topic and relevance. An SEO term that refers to a link building method where you reach out to websites with a similar topic to your infographic and have them use it to supplement their content in exchange for a backlink to your site. Each time a file is downloaded from your site is considered a hit. This includes your page’s HTML files, images, videos, graphics, buttons etc. A website page has on average 15 hits. The first (main) page of a website that loads when a visitor types in a web address that only contains the domain name. It is the starting point of the website and the most used page. Used to mark up pages of a multilingual site. Using this attribute you can make sure that users have the page displayed in the right language based on the language they use in their query. They can be used to help with the duplicate content. Sometimes you have a website that has the same content for different locations (like UK and USA), with small variations like currency. In this way you let Google know which location or language this webpage is optimized for. Keep in mind though that you will still have to work on link building for each webpage to make sure it has enough authority to be displayed in the desired location. Heading tags are used in HTML to create structure. They mark titles and subtitles or emphasized text. There are six levels of headings in HTML – H1, H2, H3, H4, H5, and H6. The higher the level, the more important the heading. They are the simplest way of telling both our reader and the spiders what we believe is the importance hierarchy of the content. Do not use them to define font size, it is better to do this through CSS. You should always keep to the order of the headings, do not use an H4 unless you have an H2 and an H3 also. Assigning an H1 to a title means that this is the most important element on your page and you should only use one. An HTML sitemap is intended for visitors (unlike the XML sitemap made for search engines). Made in a form of a bulleted list, it displays links to all the pages on the website. It shows its hierarchy and helps visitors with navigation. It can be used during the development phase to ensure a good structure that will both spread link juice efficiently and make sense to the visitor navigating the site. They do not hold the same weight in SEO as XML sitemaps, but they are not completely without SEO value. HTML (Hypertext Markup Language) is the standard markup language used to create web pages and applications. 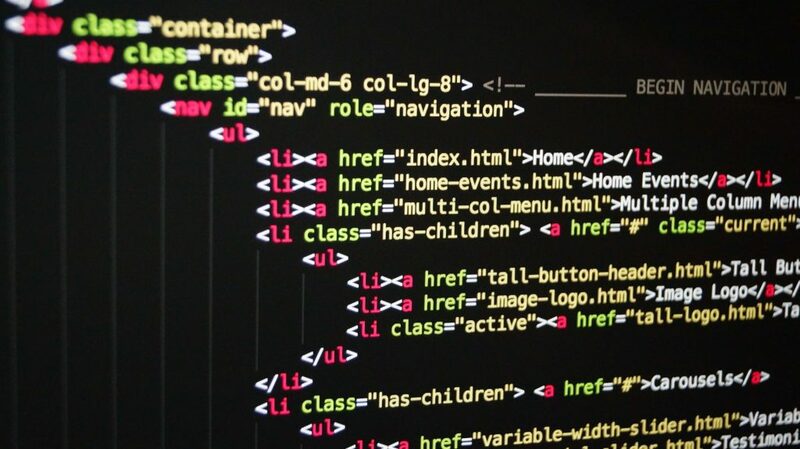 The HTML source code is the format readable to humans and it is the only stage where we can modify the code before the compiler translates it into what you see in your browser. You can view your source code in any browser (right click + Inspect in Chrome and right click + View Page Source in Firefox). If you wish to modify it, it is recommended to use a plain text or code editor. The bulk of technical SEO is done in the HTML source code. A page that contains numerous links to the most relevant and accurate websites in its niche. A link is a clickable (or tapable) text or an image that provides direct access to another page or section of a page, providing easy navigation through the web. The main protocol on the web that lets us show and receive information. In terms of SEO, it is better to use the secure type HTTPS. An image filename is a unique name used to identify an image in a file system. It consists of a name we assign to it ourselves and a file format. The image title is an attribute that you can add to the image tag in HTML. In case the image cannot be displayed the title will take its place. Currently, it does not affect your ranking, but it does improve your site’s accessibility. Refers to optimizing all the images on a website so you can increase content relevance, search engine visibility, and screen reader accessibility. An XML file containing all the images from your website you would like crawled and indexed. This can be a separate file or added to the existing XML sitemap. Each time an ad is displayed on the user’s screen or a website is displayed in the SERPs is counted as an impression. The search engine database that contains data about all the websites the crawler could find. If a website is not included in the index, it will not be displayed in the SERPs. You can easily check if and to what extent your website is indexed by checking the URL in Google’s Search Console. The results displayed will be all the pages on your website that have been indexed. A state of a website where it allows the search engine bots to index its pages for later use in the SERPs. This can be prevented by using the noindex value in the robots meta tag. The process of including a website in the search engine database. The easiest way to get your website indexed is by having others link to you and then waiting for SE bots follow those links. A method of presenting information in a visual way meant for easy and quick reading. They are more engaging than a traditional article because the convey complex data in a simple way. This type of content is shared more, takes less time to create and gets more natural links. If the destination of your link is found on your website then it’s an internal link. Internal links connect your website pages and make it easier for the visitor and search bot to navigate through it. It includes not only the navigational links but also links where you suggest to the visitor which page to visit next. Using the right internal link strategy can help your SEO as you can control your website structure and give certain pages more importance by placing them higher in the hierarchy. International SEO is meant to increase your visibility in other countries and create global growth. You can set up country and language detection and display appropriate content automatically. A disruptive, promotional page that is inserted in the normal website content. For example, a pop-up or lightbox that covers the whole web page, that a visitor came to see, and that needs to be manually closed to continue browsing. This makes content hard to access and reduces user experience. Having an interstitial immediately or shortly after a user clicks on your link in SERPs on your mobile site can result in a penalty. It is a metric that you set yourself to measure how effectively your business or team is performing toward reaching a business objective. 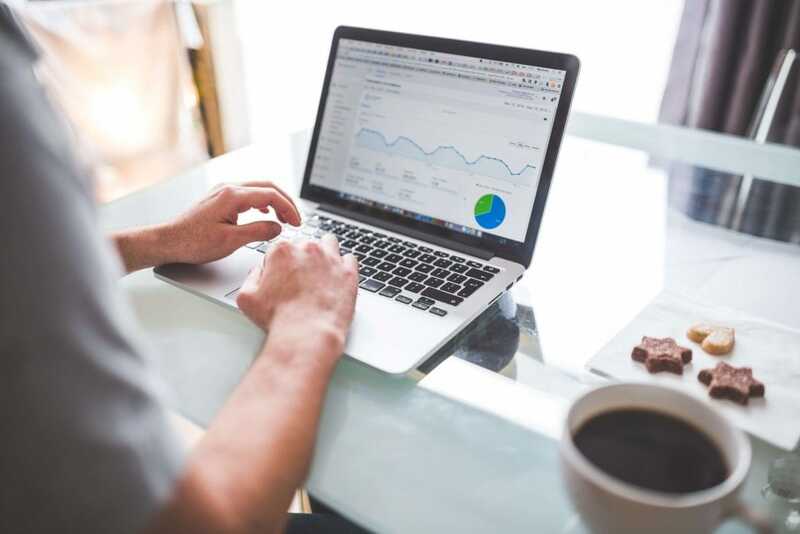 Some examples of KPIs in the SEO industry are monthly organic traffic, keywords in top 3 SERPs, retention rate, the number of backlinks and many, many more. Words or phrases that users write into the search box to find a website with matching content. Specifying a keyword and using it in your content is what helps spiders categorize your website and display it at the right time. A keyword status in Google analytics. In the organic traffic section found in the Acquisition report most of the keywords are marked with (not provided). This happens because whenever a user is logged in to their Google account, the keyword they use in their search gets encrypted to protect their privacy. This is valuable information for anyone that is trying to figure out which keywords drive the most traffic to their websites. The process of evaluating all the keywords that you are currently using and those that you discovered during your keyword research. The important metrics for you are search volume, CPC, competition, and current SERP position. You can add a desired SERP position to the mix and group the keywords by user intent, meaning are they using these keywords when they are looking to buy a product, when they are just browsing or something else important for your website. Using the same keyword for multiple web pages. This damages your SEO as you basically compete for rank positions and traffic with yourself. A process of classifying and grouping keywords based on user intent and context at the time of the query. Keyword categorization can help with determining the keywords that users query at different stages of the buying process, so we can use them on specific landing pages that were meant for the purpose of conversion. Next to the search volume, keyword competition is an important metric that shows how easy or difficult it is to compete for rank on this word or phrase in the SERPs. It is a sign of the popularity of this keyword in your particular niche. Keyword density is the percentage of the keyword being used on a page compared to the total number of words. It is used to determine the relevance of a web page, but there is no clear information on what the optimal percentage is. In fact, it is easier to overdo it, than it is to hit the sweet spot. Similar to keyword density, but this time we measure the total number the keyword was used on a web page. The amount of content on the web page is of no importance in this case. Based on customer intent and what stage of the buying process they are currently in, the customer’s search terms change. We can categorize our keywords by these buying stages and optimize the specific landing pages to increase conversion. Refers to how important or noticeable the keyword is. Prominent placement is at the start (or near the start) of the title, headings, meta description, and the opening paragraph. Refers to how close the keywords are on the page. As an example, if the search term contains multiple words like “SEO tool for bloggers”, then the distance between the 3 relevant words is checked in the content and the closer they are together the more relevance the web page gets. This is your position in the SERP listings for a specific keyword. The process of discovering new keywords that are relevant to your business and suitable in terms of search volume and competition. Effective keyword research is crucial in the process of determining profitable niches, driving traffic and promoting your business. In linguistics, a word stem, base or root is the most basic part of the word that holds meaning. To this root prefixes or suffixes are added creating stemmings. By using keyword stemmings we can create whole lists of different keyword variations. Example: luck, unlucky, lucky, luckless, luckiest etc. A black hat SEO tactic where a certain keyword is repeated over and over again on the same page in order to deceive the search engine spiders that the content is relevant for this keyword. What is most characteristic about it is that the keyword is placed into the content unnaturally creating a spammy text that will not bring value to anyone reading it. Meant to enhance the result of a Google search, a knowledge graph pulls information from several sources. The best example of it is the knowledge panel, a box placed to the right of the regular search results containing images, various detailed information, and suggestions for further search. A specific page that appears after the visitor clicks on a link. These pages are optimized for promotion and conversion and are usually connected to a marketing campaign. In SEO each landing page can have different keywords and are optimized accordingly. LSI keywords are words and phrases that are semantically related to your primary keyword. These words share the same context and are frequently used or found together. As an example, the LSI keywords of “SEO” are SEO tool, SEO agency, SEO audit etc. Here is a tool that you can use to discover LSI keywords. Refers to content that is used to encourage potential customers (leads) to leave their email or other contact information. The most common example of using a lead magnet is offering a free ebook in exchange for the user’s email. The email lists gathered this way are then used in further marketing strategies. This lead generation strategy depends highly on SEO and is a decent way of increasing conversion rates. Valuable content that other websites will naturally link to. It is unique, high in quality and informative, with a tendency to go viral. Hard to achieve, but exceptionally beneficial for SEO. A Link burst is when you gather a big number of backlinks in a short amount of time. It can be a cause for a red flag for the search engine because it could indicate that you are using a link farm or SEO services that are creating link spam. Alternatively, it is ok to have high link velocity on a web page with content that went viral. A very crude way of describing the use of a nofollow attribute value in a link, as it prevents the passing of link juice (*cringe*). A link building strategy where you try to collect an array of links from different types of websites (blogs, news, directories, social media) and different domains (.com, .edu) with various anchor text, as well as having both “nofollow” and “dofollow” links. Not all SEO experts agree that this is important, but it does give a signal of a natural link profile where a certain type of link isn’t being represented more than the other. Mostly run by automated programs and services, a link farm is a group of websites that all link either to each of the websites in the group or to a website that is paying for this service. This practice can get you a hefty manual penalty and is best avoided. A tactic employed by some websites where they try and gather as many inbound links as possible while having as few outbound links as possible. This is done to increase traffic and link popularity towards these few websites the outbound links are pointing to or to keep from passing traffic and link equity to anyone else (by marking the outgoing links as nofollow). It is considered a disreputable tactic and it can hurt just as much as having too many outgoing links. Refers to the total number of backlinks a website has. Every backlink is counted separately, even if it comes from the same website. A common SEO term for all the links that point to your website. Whether a link profile is good or bad will depend on the value of incoming links, proper use of alt tags and anchor text and link diversity. The process of getting lost links back. It is a tactic with a high ROI because of the high likelihood of success. Find out more about this process and how to get started on link reclamation. Describes if the two websites that are involved in the linking process are topically connected and in what degree and how relevant the website that is giving the backlink is in its own field. Eventually, your web pages become old. Also, the web pages you are linking to get old and very often they get moved or deleted. The effect this process has on your web page is then called link rot. It refers to having many broken links (external or internal) and it happens when you do not do regular site audits and check your link profile. A method where many links are posted in blog comments, forums, guestbooks or other similar places online, for the sole purpose of increasing your rank and without actually leaving anything of value in the post itself. The links posted in this way are mostly nofollow, so there is no actual benefit to your rank. But you do risk a penalty for using this method of link building. The speed at which a website is creating new backlinks. How fast or slow you grow your backlink profile matters for your SEO. The more natural the link velocity seems, the better. Think logically, a new site with next to no content shouldn’t be getting a huge number of backlinks in a short time (also known as a link burst). the users to find and discover businesses. Local SEO is a process of optimizing customer traffic based on a geographical location. A geographically constrained search that displays businesses that meet with their customers directly (usually physical stores or service providers) based on their and the user’s location. A highly specific phrase (usually three or more words) that matches what you are selling/offering. They are usually used by people close to the point-of-purchase and thus have a much higher conversion rate than one-word, high search volume keywords. This article can help you out in your long tail keyword research. A backlink that stopped passing link equity to your website. This happens due to removal by the owner of the other website or moving of the page where the link was or where it was pointing to. A big Google penalty where a human reviewer concluded that your website did not follow Google’s webmaster quality guidelines. A site that receives a manual action either gets their rank greatly reduced or they get removed from the SERPs completely. You should then try to repair the issues and apply for reconsideration when everything is fixed. Metadata is used to give descriptive information on a website. It is set up by use of meta tags in the website’s code and put to use by the browser and search engine crawler. The most important tags are the title, meta description, and robots, but they are just a drop in the meta sea. An important tag describing the content of the website used by the search engine in the search result snippet. If left empty the search engine will pick a paragraph from your content to display in the snippet. Google will also ignore your description if it is too long, so it is a good idea to stay under 757px for mobile and 940px for the desktop. It does not necessarily influence your SEO but taking control of what is displayed in the search result snippet can greatly improve your click-through rate. A metadata element that was used to inform search engine spiders about the relevant keywords of a webpage. It was widely abused with website’s trying to manipulate the search engines and naming keywords that were not relevant to the content. This is only one of the reasons why the meta keywords are no longer used as a ranking signal. Nowadays, you should avoid using meta keywords as the effect they have on your SEO is most likely negative. A meta tag that instructs the browser to refresh a page after a certain amount of time. Usually used to refresh dynamic content on a web page (like the number in “Only 10 left!”). They were also used as a method of redirecting but this method is slow and not recommended for the sake of your SEO. You should use the 301 redirect instead. A unit of measurement meant to track the performance of a website. The most important SEO metrics are organic traffic, bounce rate, keyword rank, backlink count, CTR, page load speed etc. A complete replica of a website, placed on a different URL. They are used when the original website generates too much traffic for the server to support. 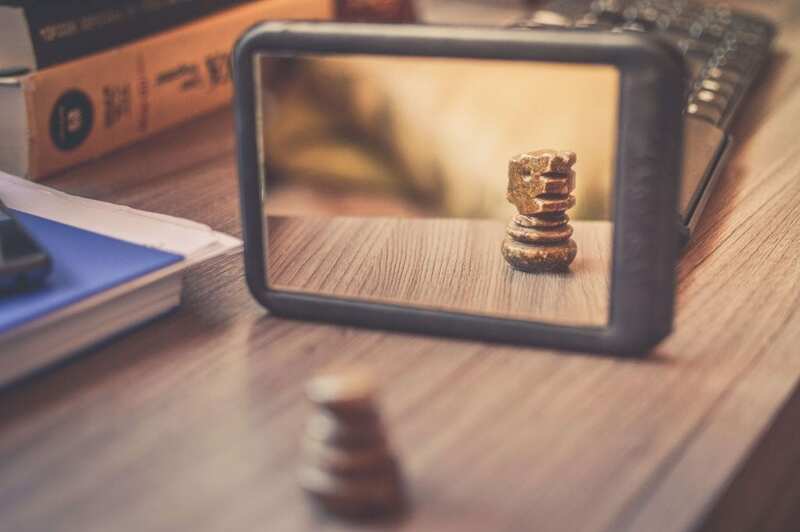 Mirror sites serve the population in different locations (different continents) and ensure a good user experience and fast page load. A website optimized for viewing on a mobile device. This can be done in one of two ways, either by having a mobile version of your website or making the website responsive (the website scales down or changes its layout based on device screen size). An approach to indexing where the mobile version of a website is crawled and indexed first. The desktop version will still be indexed and ranked, but if there is no mobile version or the site is not entirely mobile optimized, it will have a negative impact on the rank. Improving a website so it is well suited for viewing and interaction via a mobile device. Optimizing for a mobile device usually means that the layout will need to be readjusted, the text will need to be readjusted for easy reading, any navigation or CTA buttons enlarged, and image size optimized. If you’d like to learn more about the Morningscore metric, read our explainer article. Negative SEO refers to using black hat SEO methods to lower the rank of a competitor. These include hacking the site to change the content and some off-page tactics like building spammy, unnatural links and creating duplicate content. Nofollow is an attribute value of a link. By using it we inform the search engine crawler that we do not wish to pass link equity to the website it is pointing to. These are values set for the rel attribute of a href tag (link). They specify the relationship between the web page the link was on and the web page the link is pointing to. There is no effect on SEO, they are used for security and performance reasons. Refers to all the actions that improve your websites ranking in the SERPs that were not done on the webpage itself. Included here is link-building and marketing for the sake of exposure in the form of guest posting or social media marketing. On-page SEO is optimization of all the individual pages on your website. It is both optimizing the content and the HTML source code in order to improve visibility and search engine rankings. A clear permission by a user/customer that the marketer may send direct messages (usually emails). Many countries have clear legislation concerning sending direct messages and sending unsolicited commercial messages can earn you a hefty fine. This is why you should ask your customers for permission to send them a newsletter, promotional material or any other email before you add them to a mailing list. You are then allowed to send emails until the user opts-out. A clear statement by the user wanting to be removed from a mailing list. Usually done via an unsubscribe button in the mail itself or adjusting settings in a profile. 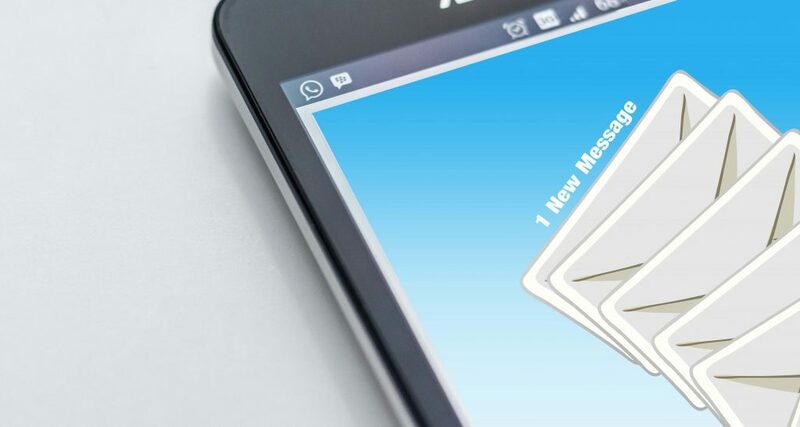 Most countries have legislation set in place that obligates the sender to give a clear chance for the user to stop getting further commercial emails. Organic rank is the position of a website in the traditional organic SERP listings. It is the rank you achieve by using SEO methods and not by SEM. 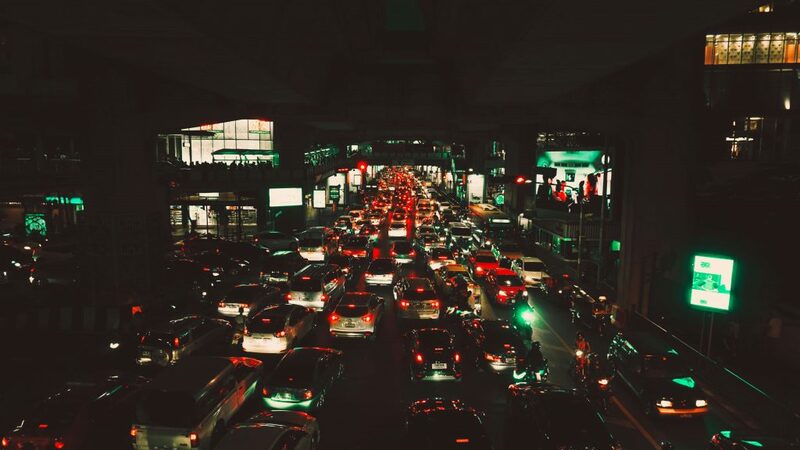 Organic traffic is the “free traffic” you get when a visitor finds your website through Google searches. It is the opposite of paid traffic you get through advertising and what you are trying to influence by SEO. Organic search results are listings in the SERPs that get displayed because the website listed employed good SEO practices instead of paying for it. A page on a website that has no links pointing to it. They cannot be found by a search bot, so they are useless for SEO. Links that lead away from your website. They affect your SEO as they help the search engine understand your niche and improve the trustworthiness and quality of your content. A type of marketing where we find individuals/companies/ organizations that share our industry niche and could find what we have to offer valuable (this could be products and services or content). This type of approach is very targeted and personalized. We need to make a human to human connection or we risk our email just being classified as spam. Outreach marketing techniques that are used for the sake of SEO include e-mail or blogger outreach for link building purposes. The practice of optimizing to please (or even trick) the search engine instead of delivering user-friendly and relevant content to the visitor. Examples of these practices include writing content to the keyword, where the keyword is unnaturally repeated in the content or gathering backlinks at a suspiciously fast rate. Doing this might get your website penalized or downgraded in terms of SERP ranking. Domain authority measures how well the website will perform in SERPs and how competitive it is compared to other sites in its niche and page authority does the same but for an individual page. This is where your internal link strategy comes into play, as a page closer to the top of the hierarchy with multiple pages linking to it, will be given more importance and a higher PA than those further down. A black hat SEO technique where the search engine is presented with a version of content that is different from that which the visitor sees. This is done by delivering content based on the user’s IP address. Page load speed is a measurement of how much time it takes for your entire web page content to be displayed in the browser window. The loading speed affects both your rank and user experience. Visitor bounce rate tends to be higher on slower web pages and it even affects the dwell time and engagement. Google’s algorithm that measures the relevance and importance of a website in order to rank them in the SERPs. It assigns a PR number to the website based on all the other websites that link to it and their PR. A request to load a page of a website. More plainly, it is each time a visitor loads a specific page. This is tracked by Google Analytics’ tracking code and if the visitor reloads the same page it will be counted as an additional page view. Any incoming traffic to your website that resulted from a visitor clicking or tapping on an ad you are paying for. It is a very popular strategy as the results are almost instantaneous. Two well-known paid traffic platforms are Google Ads and Facebook. A page title is a clickable headline that appears in the SERPs for a specific page on your website. It is the most visible part of the SERP snippet and has a big impact on your CTR, SEO and social sharing. To set it yourself you need to use the title tags in your HTML source code. If your title is too long, Google’s algorithm will try and find an appropriate one itself. So, it is a good idea to stay under 487px for the mobile and 568px for the desktop. The process of purchasing backlinks that pass link equity. This includes any type of payment like exchanging products or services in exchange for links or giving free products to reviewers or influencers, not to mention some of the black hat techniques. It is a risky method that could earn you a penalty. A Google feature where you pay for a position at the top or bottom of the SERP’s sponsored ad section by using Ads or Google shopping. Words that degrade the quality of the page for search engines who classify it as being of low quality. These are usually words and phrases that trigger mistrust or loss of respect. There is no exact list of poison words, but it is suspected that phrases like “buy PageRank” or “buy backlink”, terms related to gambling, politically incorrect terms and vulgar language can get your page buried in the SERPs, especially when used in the web page URL, title and description. Probably the number one reason why Google is the most popular search engine in the world. Google search engine’s high precision allows it to list accurate and relevant results that satisfy the query. Search spam and the complexity of the human language negatively impact this ability. The most used keyword on a web page, with the most potential to drive traffic. Since your content can be optimized for a number of keywords, it is a good idea to choose the one primary and then use it in your page title, content headline and in the first paragraph. That said, keep in mind to always write your content as naturally as possible and don’t try to shove in a keyword unless it makes absolute sense. Channels used to draw the customers towards your product or service. These usually include search engines and databases like Google, Bing or YouTube. A marketing approach that tries to draw customers in using unobtrusive methods. The potential customer is in the decision part of the buying process and is actively searching for a product or service. We just need to make sure that our product is displayed before them at that time and this we do by optimizing for the same keywords the potential customer is typing into the search bar when trying to find the wanted product or service. This strategy has a higher conversion rate than the traditional (push) marketing and often creates loyal customers or followers. Read more about pull marketing. Channels used to display your product in front of the potential customer no matter if he requested the information or not. These include ads on social media, YouTube and Google Display Network. In this marketing approach, you try to push a message by displaying an ad to a potential customer without them showing interest first. These are ads before the video on YouTube, banners, and pop-ups on websites or any other unwanted display of your product or service. It is a very traditional way of marketing and often used because it is cheaper than the pull alternative. On the other hand, it is considered interruptive so many internet users develop something called “banner blindness” where they intentionally ignore anything that looks like an add. Read more about push marketing. One of Google’s ranking algorithms. It tries to match user intent by displaying broader match results. Google monitors user behavior and identifies search patterns where the user did not find the results relevant (the user either gives up the search, tries a different query without clicking on the result or bounces from site to site). This SEO phrase describes one of Google’s ranking algorithms. Its focus is on delivering the freshest content for certain queries. These include the latest trends and news, hot topics and recurring events and they are determined based on search volume spikes. An agreement between two websites to provide backlinks to each other. It should be done with caution, as exchanging backlinks with a company that doesn’t share a topic with you might hurt your site’s backlink profile and make it harder for the search engine spiders to classify your site’s topic. All traffic coming into your website outside of the search engine. Here we include all the backlinks you have gathered and links from other platforms like social media. When your website receives a manual action, you will have to request a review after fixing the issues to be reincluded to the SERPs or start climbing the ranks again. A link used for internal linking. It is a short path to a file, HTML page, image or something else we link to. This link is used as a part of the anchor tag but doesn’t contain a protocol or domain name. There are two types of paths used in internal linking – one being the relative and the other absolute. There is, however, no indication that one is more beneficial than the other in terms of SEO. A process where we attempt to shape how a person, brand, product or organization are perceived online. A profitability ratio or in more details, a percentage of profit made on a particular investment. It is used as a metric of performance, for investment decisions and for evaluating investment opportunities. The ROI percentage is calculated by dividing the net profit by the total investment and multiplying by 100. By using structured data markup you can make your page easily indexable and allow SE bots to better understand your content. In turn, Google can take this data and provide the search engine user with additional small pieces of information right in the SERPs by displaying rich snippets. Compared to traditional search engine results, a rich snippet can, among else, contain a thumbnail image, review ratings, publication date, additional links or location info. They do not affect your ranking but do increase your CTR. A piece of code that lets you control how a search engine bot will crawl and index your web page content. The default value is “index, follow”, meaning the SE bot will both index your page and follow all the links pointing away from it. 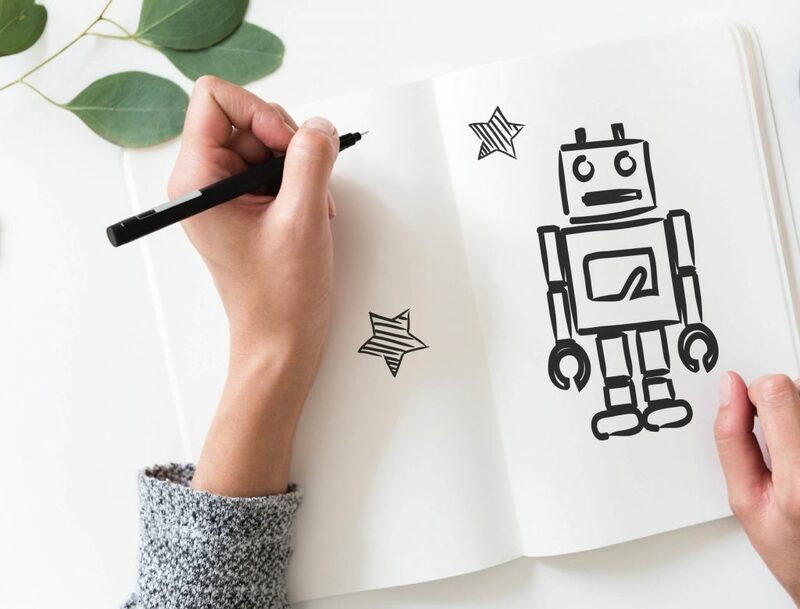 A text file used by a website to communicate to web robots (most commonly SE bots) how to process each page of your website. Here you can set certain pages as off-limits for the bot and scan only the most useful content. Using an automated program (web scraper) to gather data (usually metadata) from multiple websites. The data you gather could be all the titles of your competitor’s blog, along with their meta descriptions. This technique can be used for black hat SEO where the content is scraped and then posted in its entirety on a website you will now have to compete with. When used as part of white hat SEO, the data is used informatively, to discover niche opportunities, for link building purposes or outreach. A program that searches through all the files on the world wide web, categorizing them by keyword and storing them in a database. When a user enters a keyword, the search engine displays the files that are considered relevant for that keyword. Google, Bing, Baidu, DuckDuckGo, Yandex, Yahoo, Ask.com, Wolframalpha, and AOL.com are currently the most used search engines. A search engine algorithm is a process or a set of rules that a search engine uses to determine the value of a website in order to rank it. It is not just one program but a whole collection of algorithms each with his own purpose and task. If you want to make sure your website stays optimized, then it’s a good idea to keep an eye out for major algorithm changes that could affect you. A form of Online marketing where you try to gain website traffic by increasing visibility in the SERPs. SEO and paid search are both components of search marketing. Depending on the source, sometimes the term SEM refers solely to paid search. A form of marketing focused on improving visibility and rank in the organic SERPs and gaining organic traffic. It is not about catering to the search engine bots, but rather ensuring a good experience for the user, as this is what the search engine bots are trying to ascertain while analyzing your website. Refers to the position where your website appears in the search engine result pages after a user queries a particular keyword. These are the pages displayed by the search engine in response to a user performing a search query. There are two ways the results are displayed one being the traditional organic search engine result with a title headline and a short description and the other one being Google’s SERP feature. A black hat SEO practice of intentional manipulation of the search engine index, trying to get a page of low relevance to rank high in the SERPs and in this way reduce the precision of topical relevance. The word or phrase a user writes into a search box in order to get information that matches. The part of your search engine listing displayed in the SERPs showing the information from your meta description tag. The traditional organic (or natural) search engine result is made of the title and snippet. Search visibility is an estimated percentage of clicks you receive based on the organic ranking of your keywords. The total number of search queries a certain keyword or phrase gets in a certain period of time. Secondary keywords are the keywords that play a supporting role to your primary keyword. Since over optimizing your content with just one (primary) keyword could easily get interpreted as keyword stuffing and get you penalized, it is a good idea to supplement with other keywords. These are usually long tail and LSI keywords that have a very specific niche and a lower search volume. An encrypted, secure version of the HTTP protocol that keeps the information that is being sent and received safe from hackers. Google recommends this protocol over the HTTP and offers some benefits to the websites using it like better rankings and data about the referral traffic. A list of the most relevant keywords to your business. They are usually comprised of only one word and then used to create LSI or long tail keywords. They make the foundation of your keyword research. That’s you! Our awesome Morningscore user exploring the realms of SEO. A complete analysis of a website’s search engine visibility. It’s meant to help you locate errors, issues, and holes in your content that you can use in your SEO strategy. There are two types of audits you could do to gain insight into website SEO issues: technical SEO audit and content audit. You can do them using scraper programs (like Screaming frog), many online tools or manually creating detailed excel sheets. A paid service that we utilize to increase online visibility by having our website optimized for search engines. A method of grouping related content into distinct categories and subcategories within a website in order to help both humans and search engines understand its relevance. Sort the pages into categories and have a clear strategy when linking internally. Nowadays Google is trying to offer the user an easily skimmable, rich array of relevant information. This is the reason why they display the search engine results in various ways, using SERP features which include everything besides the traditional organic results (made up of a page title and description). A black hat technique using a software that creates content and websites with the sole purpose of ranking for low competition long tail keywords. These sites are then used for adds, creating backlinks, collecting emails and gathering revenue in other ways. Links shown under a search engine result, meant to navigate the user to your subpages. They appear for branded organic search and in the paid SERPs. You can set up the sitelinks in the paid SERPs by using Google Ads. However, in a branded organic search the situation is a bit different. The process is automated, so you cannot influence if you will have sitelinks, how many, and which pages they will link to. All you can do is make sure your website optimization is on point providing a good user experience. A link that shows up on all the pages of your website. These are usually links placed in the header or footer section which is then used across your website. 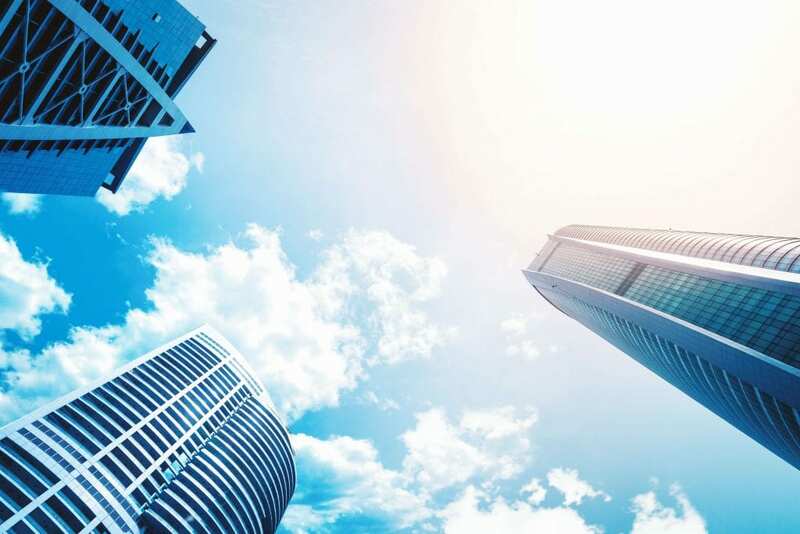 Skyscraping is a method where you find popular web pages with many backlinks, write content that improves on them and then reach out to websites that are linking to them offering your link with the improved content instead. Read more about this method in an article written by the creator of the technique himself. SMM is the process of using social media as a channel that increases your traffic, business visibility and brand awareness by creating engaging, shareable content. SMM does not directly affect ranking in Google, but since social media also counts as a search engine (and a highly used one), optimizing it will definitely pay off. An SEO term that describes the engagement activities on social media like shares, votes, pins, views etc. It is not quite clear if they influence ranking, but they for sure increase the likelihood that a website will be cited increasing the number of backlinks and improving brand authority. A content syndication method where we distribute the content we made to social media sites in order to increase audience reach and create a buzz. An introductory page on a website, usually containing a large image or a video, a small amount of content (like a brand name) and a button to continue further to the real content (“Enter site”). It is used as a home page for the website and is meant to showcase and promote the brand. A web address of a web page that has content that is always the same. The URL never changes. They are readable, descriptive, can include keywords and are easy for the user to memorize. For these reasons, they also have a higher CTR. A server response when the browser requests a webpage. Crawlers use these to determine the health of a website and discovering and fixing some of these will have an impact on your rank. A status code indicating that a URL has been permanently redirected (or moved) to a new location. This status code is used when a page has been deleted and instead of your visitors getting an error page, they get automatically sent to a new page. This is the optimal way of redirecting as it passes a very high of link equity to the redirected page. A status code indicating that a URL has been temporarily redirected. This happens when a page has been removed and its URL now points to a different page. The visitor will not see a difference between this status code and the 301, but the search engines will not pass link equity in for the 302. Page not found. Happens when the web page has been deleted, but links to it still exist. They are very bad for both user experience and website health and it is generally best to set up a 301 redirect instead. Setting this status code for a permanently removed web page indicates to the crawlers to remove it from their index. A status code indicating that there is a problem with the server (at the database or code level) and there is no access to your site. Commonly used for maintenance, by using this code you are asking the SE bot to come back at a later date. Refers to the most commonly used words in a given language. In English, these are the, a, and, but, at, for… Search engines have been programmed to ignore it, so it is recommended to exclude them in URLs, image names, anchor text and like, as long as it doesn’t hurt your readability. When added to your website’s HTML, structured data markup helps you point the SE bot to elements that contain valuable information in determining the web page’s content. In 2011. Schema.org joined together with Google, Bing, Yahoo, and Yandex to create a list of standard structured data that they will support and display in their SERPs. The action of making search engines aware of your new web page by manually submitting a URL in order to have it indexed faster. It is a common belief that this is not necessary, as the crawlers are pretty good at discovering new content and will eventually index your website or web page if they have links pointing to it. However, sometimes it takes a while before your brand-new website/web page pops up in the SERPs. A few days is normal, but if it takes a few weeks you might want to consider submitting it manually to the search engine. This is the part of SEO that deals with making it as easy as possible for the search engine bot to crawl and index your website and focuses on improving its rendering phase. Technical SEO is the foundation of all your other SEO activities and absolutely necessary if you want to keep your website performing optimally. A numerical statistic that is used by the search engine to determine the topical relevance of the web page. It checks the number of times a keyword (and any LSI keyword) has been used in the content of one document and cross-references it with all the other documents in the group. The portion of your web page that the visitor can see without scrolling. It is the first impression your visitor gets and can influence the bounce rate and dwell time. In its essence, thin content is defined as content that offers little to no value to the user. This could be anything from pages with very small amounts of text, computer-generated content, duplicate pages, copied pages, low-quality affiliate pages or doorway pages. A Google algorithm update (released in 2012.) that reduces rank for websites that have too many ads above the fold. The maximum number of organic visits that you can get on your website if you ranked #1 on Google for your keywords. A unique piece of text a user types into the browser to reach your website (www.yourwebsite.com). The URL consists of three basic parts: the protocol, the domain name, and the path. There are two types of URLs – dynamic and static. The search engines prefer the static one as it is easier to determine its contents. Results in the Google SERP that are placed among the traditional organic results but include additional media like images, videos, maps, local businesses and more. It is Google’s attempt to create dynamic results blending several verticals like Google Images or Google News into one SERP. The first time a user arrives at your website and continues to browse. If a visitor with the same IP address comes back at a later point it will not be counted into the number of unique visits. Any outbound link that is artificial, deceptive or manipulative. These links are usually paid for, created by scraping or spamming or a result of a low-quality SEO service and can earn you a manual action by Google. One way you can combat unnatural links is to have a good content strategy and only include reputable backlinks while disavowing the ones that you cannot remove yourself and are not valuable or natural. Values set dynamically in a page’s URL during a query. In the example, everything following the ? is the query string that contains link parameters containing data about the content. A metric describing how good a website is at holding the visitor’s attention and keep them browsing your website. User experience is a search engine ranking factor, that describes how easy or pleasant it is to use a product (such as a website) or service. These factors affect both the human visitors and search engines alike and have an impact on our SEO. Easy to use and not difficult to learn or understand. Any type of content posted by users of a website. This includes comments, reviews, images, video and posts on social media and more. User-generated content strengthens SEO since they will often use long tail keywords and related links in what they post. It also boosts your social signals and gives you inspiration for new keywords and content. Everything displayed on your website that the user can interact with. intuitive (working the way the user expects it to, basically similar to most other websites). Making a positive impression on our visitor and giving them a good user experience is the purpose of UI. Since these are the factors that affect dwell time and user engagement they are crucial for SEO. Search engines that have specialized functions and focus on a specific segment of online content (usually by topic or media type). These include a multitude of Google’s vertical search engines like Google Maps, YouTube, Google News, Google Images and Local search, but also Social search engines like Facebook, or sites like Momondo.com and Pipl.com. 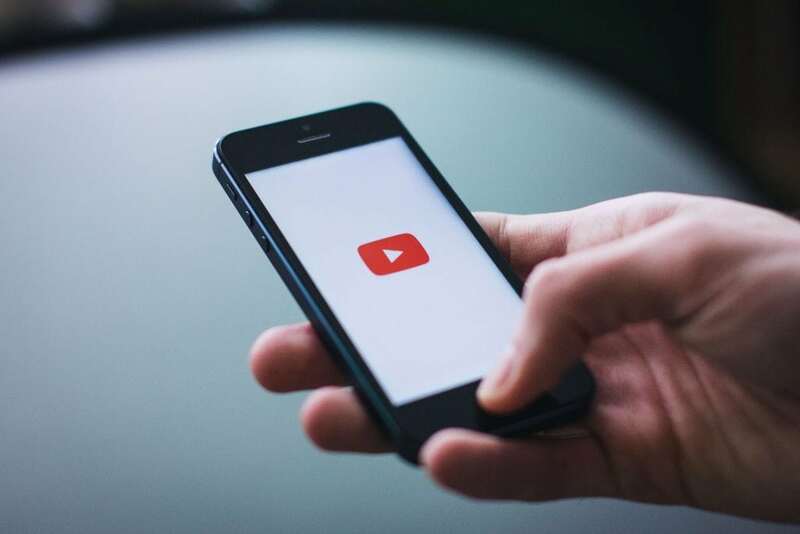 A process of increasing the search visibility of a video, usually on YouTube. There are two parts for this process – one being optimizing your channel and the other optimizing the video itself. A piece of media (article, image, video, tweet) that gets very popular in a short time. This content spreads fast through the internet getting backlinks and social media likes and shares. Each time a user arrives at your page and continues browsing and interacting with it. A visit will be counted no matter if that person has visited your page before unless the time between visits is less than 30 minutes. One HTML document that can connect to the World Wide Web and be read by a browser. A website can be made up of only one or multiple web pages. A collection of web pages and multimedia content all sharing the same domain. Website structure is a term that refers to the form your pages and links create. Imagine drawing a map of your website on a piece of paper with lines representing links between them. This link web is your structure and how it is executed matters for the site relevance. It is also important that it is clear and logical to simplify navigation. A good site structure makes it easier for your visitors to find what they are looking for, increases conversion and CTR, prolongs dwell time and makes the website easier to crawl. Since a good structure equals good UX, your website structure has an influence on your rank in search engines. Good SEO practices focused on optimizing content, so it caters to the human audience instead of the search engines. This type of strategy follows search engine rules and policies. An XML file containing all the URLs of your website you would like to crawl with additional information (metadata) on each of the URLs. It improves SEO since it puts you in control of how your website (and which pages) will be crawled and indexed. There are plenty of tools that generate an XML sitemap automatically and all that is left for you to do is to submit it to the search engine. Once a leader in email, online news and search, Yahoo lost its position when Google decided to focus on providing search results based on site importance. Today Yahoo’s search engine is powered by Bing and it has a market share of 2.46%. The most popular search engine in Russia with a market share of 53.28% (0.58% worldwide). The search results in Yandex are divided into geo-independent and geo-dependent. This makes it very easy to promote local businesses as users from different regions will get different search results. “Your Money or Your Life” is a Google search guideline. YMYL pages are those that contain tips on, for example, finance, happiness, health, parenting or nutrition. Advice like this can have a very big impact on a life of an individual and bad information can have irreparable consequences. This is the reason why Google is very hard on YMYL pages and judges them harshly, insisting on high quality, reliable information to protect the user. A must-have SEO plugin for WordPress. The biggest video sharing service (also the second most used search engine) with more than 1.5 billion users. It can also be classified as a social media site and is mostly used by teens for this purpose. We hope you’ve enjoyed this SEO glossary. Now that you know every term worth knowing in SEO, get to work and find some awesome keywords for your website using our step-by-step guide or check out our infographic with 25 best SEO tools of 2018.